Based at the University of Glasgow the Zombie Institute for Theoretical Studies is dedicated to the scientific study of Zombieism. Our research is supported by the Wellcome Trust & University of Glasgow. This blog is maintained by the Institute & contains an archive of writings from Doctor Austin, now retired, who acted as Head of the Institute from 1996 - 2014. Greetings Zombiology Students and a hearty welcome to the ZomBlog. Regular readers will know that our version of Zombies here at the Institute are based on genuine science, rather than fiction. So there are many differences between our idea of a Zombie and those you might encounter on the silver screen. Presently it is not possible to have a dead body that acts as though it were living. 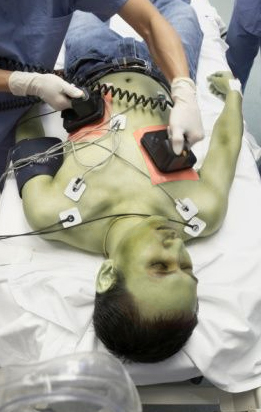 Our current theories dictate that Zombies are not undead but they are human beings who are suffering from a disease. Therefore they will still have beating hearts, a need to eat, breathe and expel waste. The Zombie disease will cause them to be very aggressive, eating continually (controversially not just human flesh - but anything), walk with unsteady shambling movements, and communicate only through a deathly moan. Whatever causes this disease, be it a virus, bacterium, or prion disease, it will be a serious, horrific illness. The cat based meme is also a strong contender. But as John asks, could Zombies get sick? All of us have a guardian against getting ill, our immune system. The immune system is our defender from infectious invaders. Through something called an immune response, the immune system attacks organisms and substances that enter our body to try and damage our vital systems or cause disease. The immune system, as portrayed by a terrifying drawing. A network of cells, tissues and organs make up the immune system. The important cells are the white blood cells, also known as leukocytes. They come in two basic types; phagocytes, which, much like a Zombie, chew up invading organisms, and lymphocytes, cells that allow the body to remember and recognize previous invaders and help the body destroy them. When foreign substances enter our body (called antigens), many cells work together to spot them, and try to get rid of them. They do this by triggering the creation of antibodies, special proteins that lock on to the invaders. Once they’ve been created, they stay in the body, ready to strike again should the disease return. This is why once you get sick with something like chicken pox it is unlikely you’ll get ill from it again. There are diseases that can affect the immune system. One of the most well known is HIV (human immunodeficiency virus) infection / AIDS (acquired immunodeficiency syndrome). This disease gradually destroys the immune system. Without any defence the body is vulnerable to a multitude of organisms which can easily cause life threatening infections in AIDS patients. Whatever is causing Zombieism it will be a very invasive disease and is likely to weaken the immune system. On top of this a Zombie’s diet is unlikely to be balanced. They are simply eating anything and everything they can. It is doubtful they’ll be garnishing all the required nutrients that help the body fight off germs. Poor hygiene will also play a role. 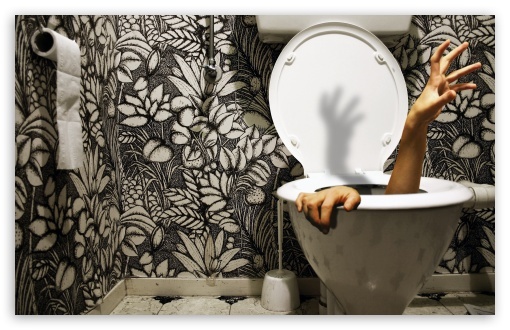 After all I seriously doubt that a Zombie will take the time to wash its hands after eating or going to the bathroom (if indeed they go to a bathroom, they probably go wherever and whenever they want). I believe they call this a 'mercy flush'. Combining all these factors together and a Zombie is going to be an easy target for every illness out there. So the answer to John’s question, can Zombies get sick, has got to be a firm yes. Not only can they get sick, they’re at much greater risk than the rest of us. Hence biological warfare may offer a defence against the apocalypse. But here at the Zombie Institute we always recommend trying to help treat and cure Zombies, rather than trying to kill them! Always remember that Zombies are people too. If you have a question about the undead please get in touch with me in the comments section below, and don’t forget to visit our Book of Faces (www.facebook.com/zombiescience). I’m ready, waiting, and willing to answer your questions right here on the ZomBlog. Doctor Austin ZITS BSz MSz DPep, is a Theoretical Zombiologist and Head of the Zombie Institute for Theoretical Studies at the University of Glasgow, Scotland UK. Doctor Austin is a renowned Theoretical Zombiologist at the University of Glasgow and Head of the Zombie Institute of Theoretical Studies. Starting out in the private sector Doctor Austin worked in product design. His most famous invention was the Ultra-Safe Concrete Children’s Swimwear, the catchy slogan, wherever you leave them, that’s where they are. Education: Graduated from the Zombie Institute of Theoretical Studies at University of Glasgow with degree in Zombiology in 1999. Also attended: University of Peterhead, Eerie Indiana State University. Additional degrees: Bachelors of Zombotany, Doctor of Pepper.